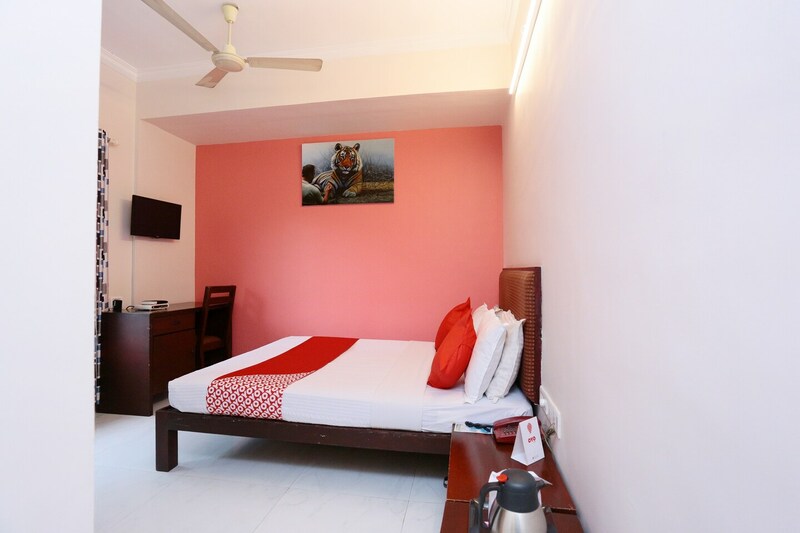 The rooms offered by Ammu Regency are quite popular in the Thrissur hospitality circuit. The hotel is located within the Marar Road Area in Thrissur. All the rooms are very comfortable and have been designed and decorated very thoughtfully. The rooms are quite spacious, have been decorated with a number of paintings. The windows provide the guests with a lot of fresh air and bright sunlight along with wonderful views. Rooms have been painted in soothing and pleasant hues. Every room has been provided with a full wooden closet. The facilities include parking provisions, an in-house restaurant, and free Wi-Fi. The facilities are under the constant supervision of a set of dedicated and loyal staff. The hotel is surrounded by a number of basic places such as Hotel Bharat Vegetarian, the Metropolitan Hospital, Sun Medical Research Center Paddy Payment Office of Trissure Depot, and Mother Hospital.